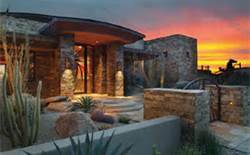 Tucson’s million dollar home sales March 2017 continue to show strong gains. After 5 plus years of weak sales, million dollar home sales are improving. Albeit not at prices seen in 2006/2007. The City of Tucson sits in the Sonora Desert and surrounded by five mountain ranges. This unique setting creates the opportunity for luxury homeowners to have spectacular mountain and city light views. Views that are unmatched by any other city in Arizona.